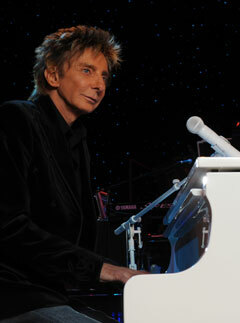 As a performer, songwriter, and arranger, Barry Manilow has helped shape the pop music landscape since the early 1970s. 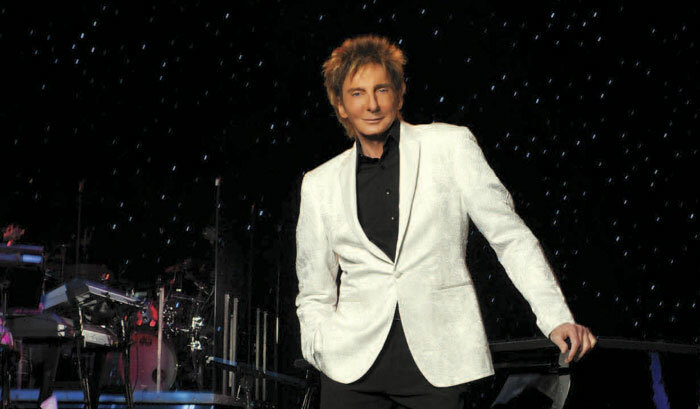 With 26 studio albums, two Emmys, a Tony, and two Clio awards to his name, Manilow is currently a longstanding headliner at the Las Vegas Hilton--and he's found a new generation of fans through recurring appearances as a mentor on American Idol, where his former backing singer Debra Byrd is the show's head vocal coach. You've written everything from film music to jingles. Aside from your songs, what are some of your favorite musical accomplishments? I wrote two Broadway scores--actually more than two, but there are two I like best. One is a two-act play based on the song "Copacabana," which is opening again in July at the Benedum Center in Pittsburgh. The second one was a musical called Harmony, which opened at the La Jolla Playhouse a little while ago. It's going back up, and it's going to hit New York too. Do you have different techniques for writing different types of music? I do. But the big trick for me, when I compose any kind of melody, is to write it away from the piano. I think the best melodies I've ever come up with have been when I can walk around the room and hum the melody. Ninety percent of the time, those melodies are the most memorable. After that, then I go to the piano and complete it that way. You're also an incredible arranger. I am. That's the thing I like the best, by the way. Do songwriting and arranging basically come from the same place? No, not at all. It's two totally different crafts. When I started off in the business, back in the 1800s, I just wanted to deal with the orchestra and arrange music to accompany singers. I wanted to be, oh, Nelson Riddle. I wanted to be George Martin, with the Beatles. I accompanied and arranged for everybody in New York. I did that for my friend Bette Midler for years. I would take songs and throw them up in the air and give her a brand-new, spanking idea. That's what I did at the beginning, and that's the thing I love doing right now, arranging songs. For a pop piano player like me, there's a major difference in the touch and the power of a Yamaha piano. How did you put your stamp on your hits that you didn't write, like "I Write the Songs" and "Mandy?" I really do think it was my arranging ability that made them original. I believe David Cassidy did the first rendition of "I Write the Songs." And I listened to it and went, "Oh, I can never do that. I've got to do my own version." So I flipped it into the air and gave it three key changes and a big ending. I want to excite people. To surprise them, to thrill them. When I worked with the American Idol kids, I kept telling them, 'Be original. Don't be afraid to make these songs your own.' The most important thing is to learn how to act a song. Make it into your own story. With these young performers, it's like the dawn suddenly breaks when they finally understand what I'm saying. What is it about performing that still captures your interest? I like connecting. My career is not about music at all--it's all about feelings. My goal is to give you goosebumps. I don't care how I do it: whether it's up-tempo, or a ballad, or a joke, my goal is to make you feel something. I want the audience to feel better when they leave than when they walked in. In your show in Las Vegas, you play a white Yamaha Disklavier and a baby grand Clavinova. What do you like about these pianos? The keyboard is the same keyboard for all the four pianos that I use. They build me the shell of any kind of piano I ask for, but the keyboard itself is a Yamaha electronic keyboard. That's what I've been using for many years. And I know that when it comes to a great acoustic piano, like the one I have here in my studio, it's a Yamaha. There's a brightness and contemporariness to it. For a pop piano player like me, there's a major difference in the touch and the power of a Yamaha piano. Tell me about your nonprofit organization, the Manilow Music Project. It's all about getting musical instruments to schools in trouble. Since the government has been canceling funds for music classes, the kids are relying on parents and teachers to supply them with workable instruments, sheet music, music stands, everything. When I discovered this a couple of years ago, it just broke my heart. I don't know where I'd be without music classes in my high school. I was a real geek, and very shy. But when I got to music class, I felt confident. I became a better student, and I was able to interact with other students. And I think that happens to every student who takes music classes, whether they become famous musicians or not. Their grades go up, they become better human beings. So I put together this Manilow Music Project, and I've been trying, little by little, to get instruments to the schools I can get to. I don't know whether I can save the world, but I can do my own little part!